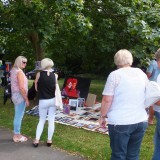 Bowie’s Beckenham Oddity is an annual fundraiser which David Bowie supported by providing signed items for auction at the event. 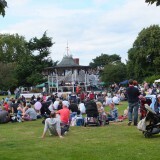 Bowie fans and music lovers from Britain and beyond will come together in Beckenham, south London on Saturday 13 August 2016, in the park where his rise to stardom took off in 1969. 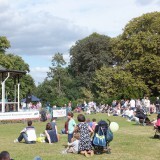 Bowie’s Beckenham Oddity will take place at the bandstand at the Croydon Road Recreation Ground, where Bowie and his friends from the Beckenham Arts Lab organised The UK’s first Free Festival on 16 August, 47 years ago. 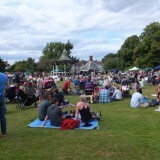 The festival coincided with the release of David’s first hit single Space Oddity and was immortalised with another hit song, Memory Of A Free Festival. 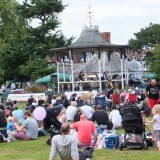 This year’s event kicks off at 1.00 pm with a stellar line up of musical talent, who will reprise lots of Bowie’s greatest songs including Life On Mars?, which he wrote while sitting on the bandstand steps. 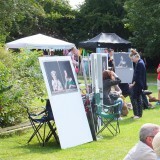 Featured artists include Malcolm Doherty, Daphne Guinness, Maggi Ronson, Phillip Rambow and Boe Huntress. 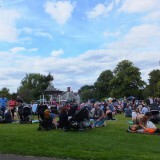 There’s a welcome return from Amory Kane who played at the 1969 Free Festival and also at the 2013 and 2014 Memory of a Free Festival events organised at the bandstand by Beckenham resident Natasha Ryzhova Lau. 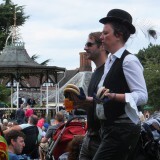 The avant garde duo Raf & O are also welcomed back, following their performances in 2013 and 2014. 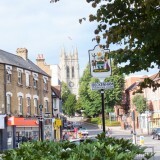 David’s co-founder and organiser of The Beckenham Arts Lab, Mary Finnigan, will be signing copies of her recently published book Psychedelic Suburbia. 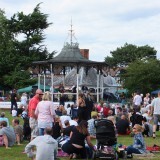 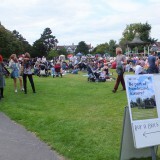 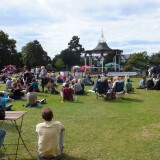 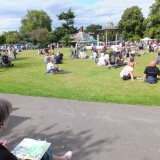 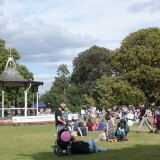 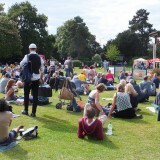 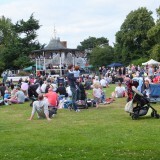 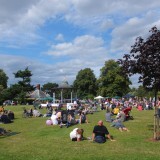 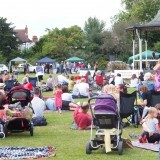 The two Memory of a Free Festival events raised £16,000 towards the bandstand restoration fund. 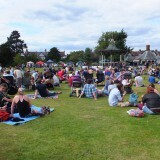 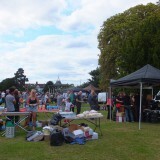 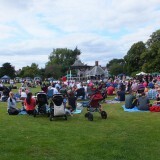 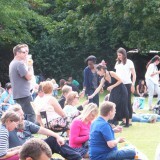 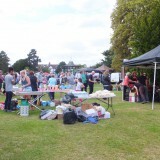 Bowie’s Beckenham Oddity organiser Wendy Faulkner says her aim this year is to raise even more. 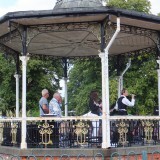 “After the devastating news of David’s death in January we felt we had to do a tribute for him — and there’s no more fitting place to do this than the bandstand where he played in 1969,” she says. 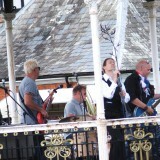 “It’s not just about Bowie, but also all the people who were involved with him along his path to stardom”. 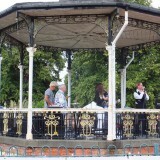 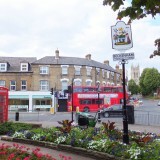 Bowie’s Beckenham Oddity is supported by The London Borough of Bromley, which has named the bandstand in his honour. 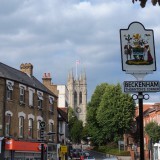 When enough money is raised, it will be restored to its former glory. 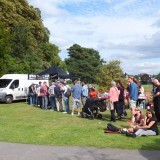 Other attractions this year include food and drinks by local caterers Dizzy’s Diner, plus market stalls. 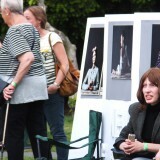 There will be an auction of Bowie memorabilia before the end of the day at 7.00pm.